There’s a lot to take in when your parents show signs of aging. Not only does your relationship to them change from ‘cared for’ to carer of’, but there are an enormous amount of emotional issues that can arise. It’s not pleasant watching your folks deteriorate, both physically and mentally. And it’s tricky to comprehend all the different changes that will occur to them as they enter into a new – and potentially challenging – life stage. But another thing you need to consider is the law. Wherever there are people, there are legal issues, and it’s no different with aging parents. There are an astonishing array of problems that can arise, so it’s important to understand some of the basics of what you might expect. With this in mind, we’re going to take a look at everything you need to know about the law and aging parents. Read on to find out more, and you should be well prepared to meet the coming challenges. The obvious starting point is estate planning – what your parents will do with their assets when they eventually pass away. If you’re lucky, your parents will have written a will, and if they haven’t, it is highly advisable that you get them to do so. We’re not suggesting this for selfish reasons, at all, but the problems people encounter when there is not a detailed will can be immeasurable, and a serious legal minefield. It could cause family arguments, be expensive to sort out, and it will also take a lot longer to sort through your parent’s estate than it would with a robust and self-explanatory will. While we’re on the subject of wills, it’s important to understand the difference between a standard will and a living will. While a normal will is only valid when your parents die, a living will takes effect when they are unable to express their wishes. For example, a legal will can advise on the sort of medical and surgical treatment your parents would like/not like to undergo if they are terminally ill. Living wills are usually drawn up if parents would prefer to be kept alive on life-prolonging equipment or have them withheld. If your parents don’t have a living will, there are obvious issues that can arise. For example, one of your siblings might want to keep your parents on a life support machine, whereas you know they once told you they would prefer to go peacefully. Unless you have that legal document, however, the truth is that they may not get their wishes. Sadly, there could be a day when your parents are unable to look after themselves properly. And proper, legal disability planning will help your folks designate decision-making powers to protect their health and finances once they are incapacitated. Without it, you might have to go through court to establish a guardianship, which could prove to be exceptionally tough on the emotions for both you and your parents. Dementia and other psychological problems are an increasing problem for aging adults these days. And they are a common cause for adult children to have concerns about their parent’s ability to make important financial decisions for themselves. In situations like these, either you, another family member or a close friend can all apply for Durable Power of Attorney so that you are allowed to make those vital decisions for them. Obviously, this can cause tensions between families, but it is crucial that you sort all these issues out. Imagine no one has the Power of Attorney at all, and your parents have reached a stage when they can no longer make decisions for themselves: they won’t be able to sign a single form. Whether it’s for substantial financial reasons or to get vital medical treatment, you can see the problems you might face in the future. If a power of attorney can’t be signed, as discussed above, then you might need to apply to become a conservator. This legal ruling will allow you to act like a power of attorney agent, and you’ll be able to make decisions on some medical treatments and financial issues. However, it’s not a route that you want to travel down unnecessarily. Conservatorships can take a long time to come through, and can also be incredibly expensive. In the vast majority of cases, you are better off making sure someone has power of attorney. As highlighted in A Jackson Family Lawyer’s Guide to Guardianship in Mississippi, you or another trusted individual can also become the legal guardian of your parent. A guardian is responsible for making legal and financial decisions on behalf of the ‘ward’ – who in this case, would be your aging parent. However, there is a big stipulation – the guardian is only allowed to make decisions that are in the ward’s best interests. Guardianships often result when there is a concern that the ward is being exploited in some way, or at the very least, is about to be exploited. They are also a common occurrence when the senior in question is unable to engage in the normal activities involved in daily living, or if they are about to become unable to care for themselves. If you don’t have power of attorney or any other legal platform to work from, there are lots of other consequences that can arise. You’ll need to be able to deal with all medical insurance they have besides Medicare, for example, and you will also need to stop policies as soon as they become invalid or your parents don’t need them anymore. In fact, you’ll need to go through all their regular payments when they are incapacitated or facing up to their final days. As grim as it might be to imagine, dealing with your parent’s financial records and accounts can sometimes be more painful and upsetting than their actual death – and that’s no overstatement. Staying with the insurance topic, you might well face problems getting the full benefits from long-term care insurers. Sadly, it’s a lot more common than you might think, and many families end up having to fork out for care from their own pockets or borrowing against their inheritance. If you do find that your parents have been paying into a plan for many years, but the insurer isn’t being upfront with paying up, it’s a good idea to consult a lawyer. Ultimately, all long-term insurance policyholders should get what they deserve, and the fact that insurers are being stingy shouldn’t detract you from fighting for what is owed. The scope of planning for your aging parent’s health care in legal terms is enormous. Making plans with your parents well in advance is going to be vital if you want to minimize stress, long-term legal wranglings, and distressing family strife – not to mention the health and happiness of your folks. As you can see from some of the legal issues listed above, you will need the correct documentation if you want to act on your parent’s behalf. Failure to have it can stall decision-making from everyone from clinicians to family members, and anyone else that will have involvement in an aging person’s care. It’s also important to make your plans with a view to sorting out the final years, rather than end-of-life scenarios. Sure, your folks might remain compos mentis for the entirety of their life, but the smart decision is to plan for anything. Given that aging individuals often decline in health quite rapidly, it may not be possible if you leave it too late. Sadly, wherever there are incapacitated and vulnerable people, there are also predators. Obviously, this is a vast subject that we can’t do justice here, and it is essential you contact the relevant authorities if you feel that any of these issues are a problem for your parents. There are, however, a few things to look out for when it comes to spotting the signs. 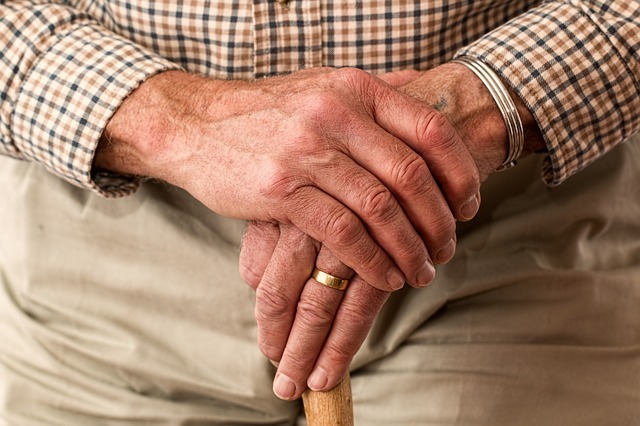 Abuse of elders could occur over the short-term or long-term, and if your parents are suffering from mental health issues like dementia, they may not even notice what’s going on. So, you should be aware of things like unexplained bruising, injuries, or wounds, and ask serious questions if those injuries are not being treated. Poor hygiene and dramatic weight loss is also a sign of neglect that you can pick up on. If your parents display evidence of helplessness or fear, or even a sudden change of behavior, it might be a tell that they are undergoing some form of trauma. Finally, keep an eye out for their finances. Even if you don’t have power of attorney, you should be making sure that all financial and legal documents are accounted for, and are legitimate. Finally, make sure you report any suspected incidents of abuse to the police, health, and social work teams – and always consult your family lawyer. We hope these issues never arise for you, but if they do, you’ll know what to expect.